Queensland Archaeological Research, is a refereed journal published since 1984 devoted to publishing substantive archaeological material pertaining to research in Queensland, Australia and adjacent areas. Data-rich manuscripts are particularly welcome. Contributions are accepted in six sections: Articles (5000+ words), Short Reports (<3000 words), Obituaries (500-2000), Thesis Abstracts (200-500), Book Reviews (500-2000) and Backfill (which includes letters and other material of interest to readers). Queensland Archaeological Research is published in one volume each year. "Rome Wasn't Digitized in a Day": Building a Cyberinfrastructure for Digital Classicists by Alison Babeu is licensed under a Creative Commons Attribution-NonCommercial-ShareAlike 3.0 Unported License. A draft of this report was circulated for comment in October 2010. CHAPTER 10: What Are Our Critical Data-Preservation Needs? This book explores the social use and context of the World Wide Web within the discipline of archaeology. While the Web has radically altered journalism, commerce, media and social relationships, its sees very uneven adoption in professional scholarly contexts. Case studies discussed in this book help illuminate patterns of adoption and resistance to new forms of scholarly communication and data sharing. These case studies explore social media, digital preservation, and cultural representation concerns, as well as technical and semantic challenges and approaches toward data interoperability. Contributors to this volume debate the merits and sustainability of open access publishing and how the Web mediates interactions between professional and nonprofessional communities engaged in archaeology. 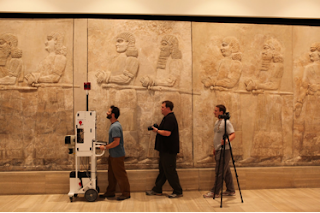 Archaeology 2.0 is the first book in the Cotsen Institute’s new Digital Archaeology Series. 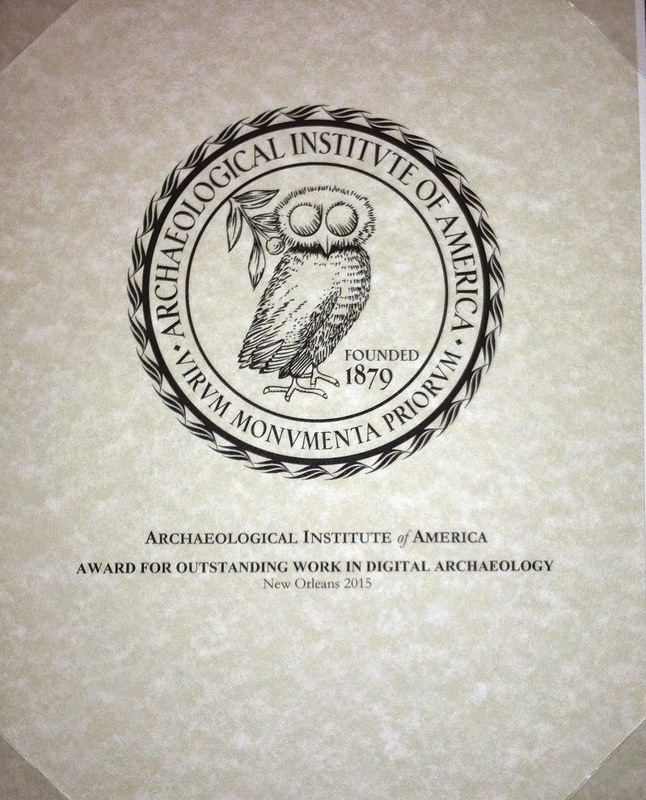 The editors want to thank all of the book’s contributors, and also the Cotsen Institute of Archaeology Press, especially Julie Nemer, Carol Leyba, and Willeke Wendrich. The printed version will be available for purchase shortly. 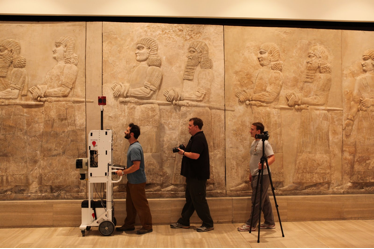 The InscriptiFact Team has reported in an email to registered users that they have just uploaded approximately 5700 new images of 296 new texts from the Persepolis Fortification Archive. The majority of Aramaic texts from the archive are now available. InscriptiFact is part of The West Semitic Research Project, an academic project affiliated with the University of Southern California School of Religion and directed by Dr. Bruce Zuckerman. Examples of screens and searches in HTML format for viewing in a web browser. Step-by-step instructions for conducting searches and retrieving images in InscriptiFact, in PDF format. Step-by-step instructions for using the InscriptiFact Viewer, featuring RTI (Reflectance Transformation Imaging) images, in PDF format. One possible way to search for texts in InscriptiFact is by choosing "Text or Publication Numbers," i.e., common abbreviations used in the field of Ancient Near Eastern Studies. This PDF documents gives bibliographic information for the abbreviations or references used in InscriptiFact. Download this document and fax it as stated to obtain access to InscriptiFact. Click on this link to be taken to the download site for the InscriptiFact desktop client. The inspiration for this came from stone carvings he viewed in the Chicago museum and a cover of Harpa magazine showing the mother of all harps dating from the time of Genesis itself! This had not been done authentically before, using the correct original adhesives, Gulf shell and Sumerian region wood. All existing harps held in Pennsylvania, Baghdad and London museums are, in fact, unplayable models reconstructed from bits, distributed after Leonard Woolley`s excavations in the 1930`s. The Bull-headed harp held in the museum of Baghdad, has been well featured in the worlds press, as a result of events in Iraq. Much interest has been shown in hearing a remade and playable instrument. This is a highly topical project. We would like to play it for you and see no reason why it should not tell its story all over the world. Los cinco números publicados hasta la fecha se encuentran disponibles para su consultado en esta web cuyo objetivo último es contribuir a facilitar la difusión de los numerosos trabajos científicos publicados en la Revista. Since early February 2004, this site has been trying to bring you all kinds of information about the ever-growing Bible software scene. The stated long-term goal has always been that of building a comprehensive repository of tips, news, articles, and reviews of different Bible software products. Almost four and a half years later, I have felt it necessary to make a good number of under-the-hood changes in order to take BSR one step further. You will notice its new look right away, but behind the interface there are a number of enhanced functionalities and new sections. I hope you like it, but, most of all, I very much hope you find it useful. Thanks for your support and help in making this website a must stop for the many users (and would-be users) of Bible software around the world. As usual, I invite you to check out my weblog frequently. It is the easiest and fastest way to keep up-to-date as to what is going on. But now there are also other means to interact with other users and send your feedback. The new forum is open for discussion and feedback. So feel free to register and become a part of the community. But you may ask yourself, "Why yet another website?" True. There are a good number of user groups, email lists, webs, etc. available already. However, Bible Software Review wants to fill a gap. What we are really after is integration; that is, we want to offer an overview of what is available, bringing together information that is usually only found in a piecemeal fashion. But we are also interested, above anything else, in the practical application of Bible software. We must constantly remind ourselves of the fact that these wonderful and powerful computer tools are only means to a greater end. Their whole purpose is to enhance our understanding of the Scriptures and help us study and interpret them. Bible Study Software: Where Do We Go From Here? Bible Software: Why Should We Bother? Un catalogue publié en juillet 1999 dresse un inventaire détaillé des archives sur l’Égypte. En 2003, grâce à un crédit de l'Union Européenne, 3200 plaques photographiques issues de ces archives ont été numérisées et éditées sur CD-Rom par le CICL (Centre Interrégional de Conservation du Livre) d'Arles. Ce portail propose en libre accès la visualisation de ces plaques de verre ainsi que la consultation de la documentation associée. 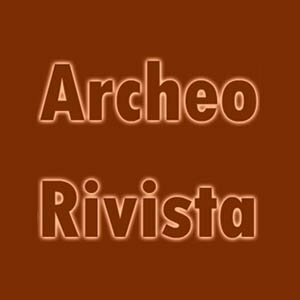 ArcheoRivista è uno dei canali tematici del portale Antika.it, dedicato alla conoscenza e alla divulgazione del mondo antico. ArcheoRivista è una testata giornalistica iscritta al Registro Stampa del Tribunale e opera grazie a una vera redazione composta da un direttore responsabile, uno staff di autori, prevalentemente archeologi e storici dell'arte, e con una rete di corrispondenti dal territorio; si avvale anche dell'esperienza e della professionalità di fotografi specializzati nel settore. Il progetto è totalmente autofinanziato e ha carattere non profit e senza fini di lucro. Scopo del nostro lavoro è quindi quello di divulgare la conoscenza del passato e del mondo antico, con particolare riferimento al periodo che va dalle origni dell'uomo sino al medioevo.